We are gearing up for back-to-school time this week by getting the rest of our school supplies, finishing up our school clothes shopping, and making teacher gifts. Then we’re off for a very short vacation to the beautiful mountains of West Virginia…I can’t wait! We’re still a bit hot around here for a few more weeks, so I’m making mostly skillet meals on the stove, and using the grill one night to make some burgers. I’m hoping that it won’t rain that night, but if it does, I can always cook them on the stove top, although I never think they taste as good that way. 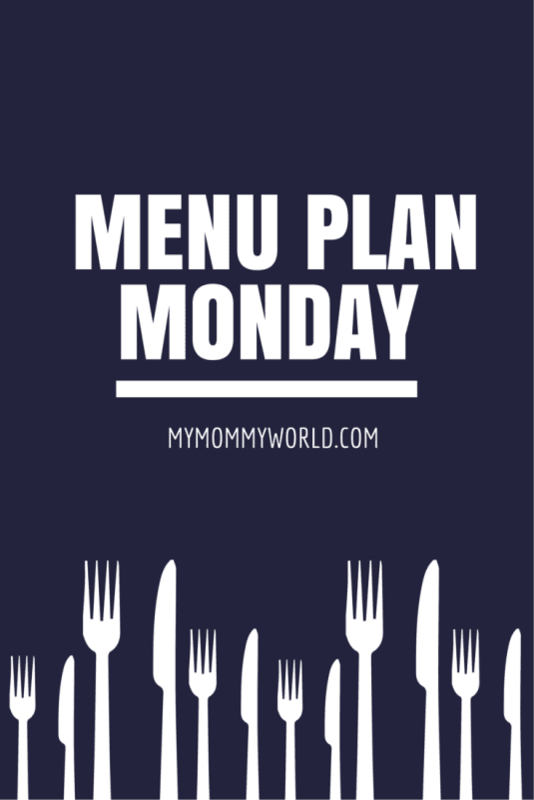 For help planning your own menu, be sure to download my free menu planning printable and read my post on menu planning for busy moms. You can also check out Org Junkie’s Menu Plan Monday link-up for more meal ideas! Erin, your menu looks great. We too are having warmer weather, but at least there isn’t any hot weather forecasted for this week. We’re doing oven free meals this week too. We will be having breakfast for dinner one night and a big salad dinner another night. I’ll also be preparing the new recipe of skillet pizza pockets too. I think my kids might like your pizza pockets…I definitely have to try them out! Hi Ern, New to your blog, and enjoying your menu plan post. I love chocolate chip scones and often take them to my senior high Sunday school students. Think I just may make them for this coming Sunday. Love your blog and will surely be back to visit. Your menu looks delicious, Erin. 🙂 I hope you and your family have a great week and have a lot of fun in West Virginia! Those chocolate chip scones look yummy! School starts tomorrow for us (yikes!). Hope you enjoy your vacation!